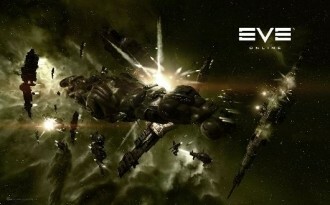 EVE Online will soon be experimenting with a new program that will allow players to trade in-game currency for real-life swag – specifically, an Nvidia GeForce GTX 560 graphics card. This is in stark contrast to the traditional role of buying in-game items with real currency that we are all familiar with. The Tech Report says that 20 PLEX will earn you a GeForce GTX 560. PLEX, or Pilot License Extension, is an in-game item that gamers can earn and use to pay for monthly subscriptions to EVE Online. PLEX can be purchased using in-game currency called Interstellar Kredits and traded among players. As the report finds, one PLEX is roughly equivalent to 500 million Interstellar Kredits which can be purchased for around $10 in real-life money should you choose that route. 20 PLEX would be right around $200, a little more than a decent 560 retails for. The question is how long does it take you to earn 500 million Kredits for one PLEX? If you are a diehard EVE Online fan with plenty of stockpile, this might be a worthwhile investment but for the average player, it’ll likely take a very long time to earn enough to snag a 560. Furthermore, the deal is initially being limited to only 100 cards to start with (one card per account) to test the market. As you would expect, the value of PLEX has increased substantially based on this news.